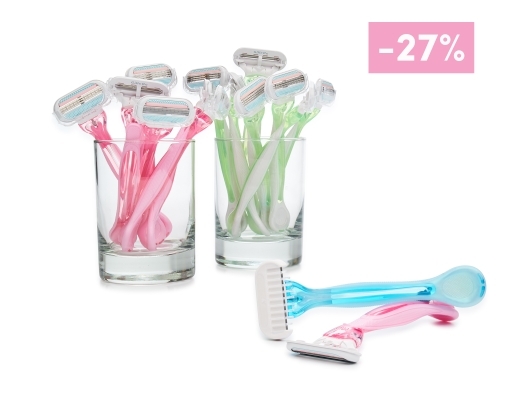 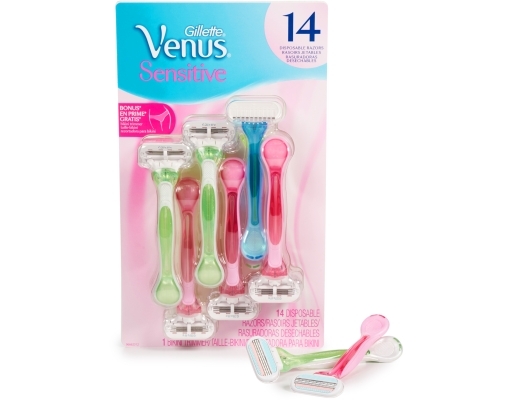 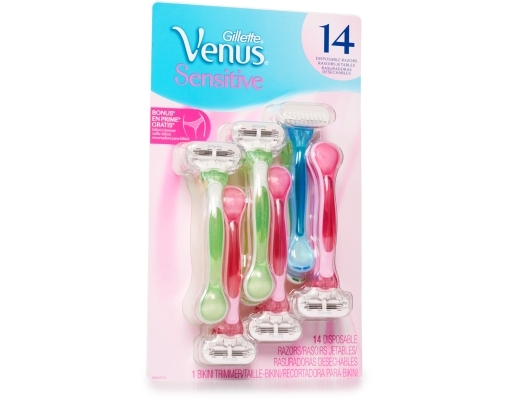 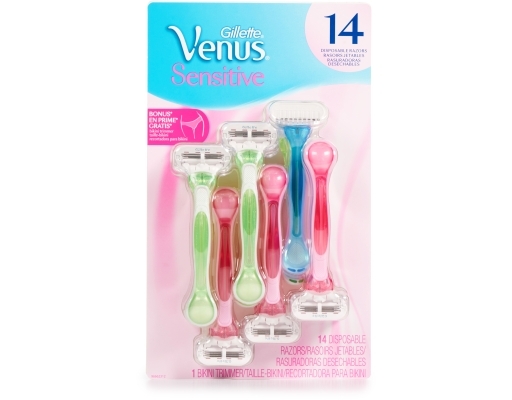 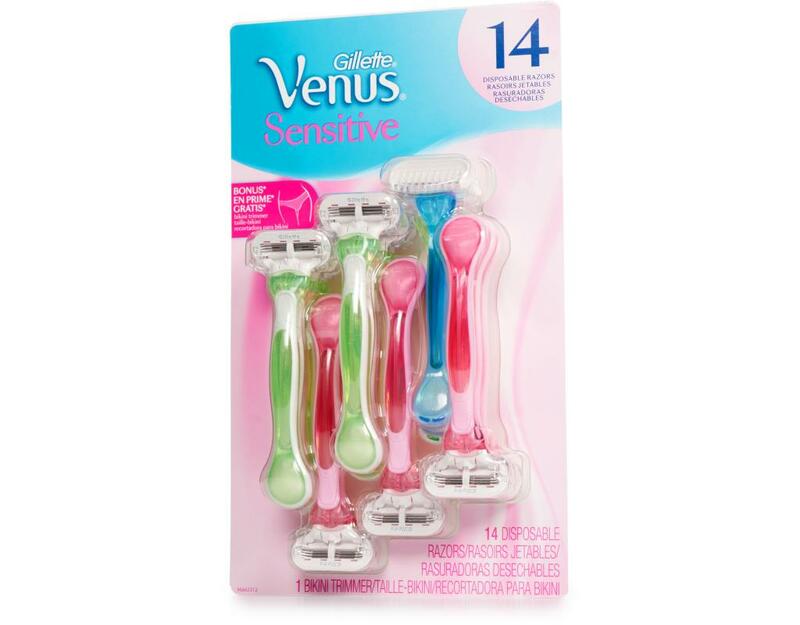 Gillette Venus Sensitive Disposable Razors, for Sensitive Skin. Close shave and silky smooth skin in just one stroke! 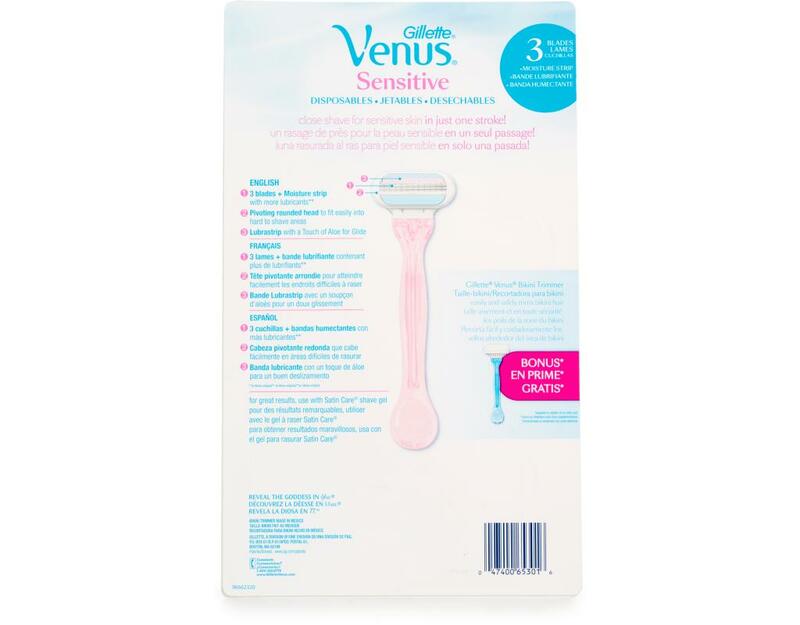 • MoistureRich Strip with more lubricants for great glide on your sensitive skin. 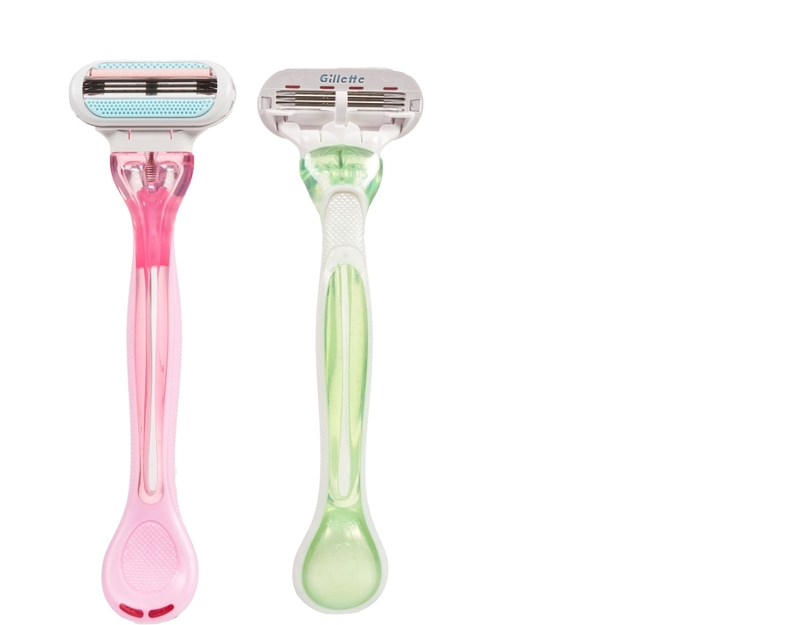 • Three blades surrounded by soft protective cushions. • Pivoting rounded head to fit easily into hard to shave areas.